SOME combinations are better than the sum of their parts. Chocolate and peanut butter, apple pie and vanilla ice cream, and baseball on a warm summer day. You know what makes baseball on a warm summer day even better? You guessed it—beer. 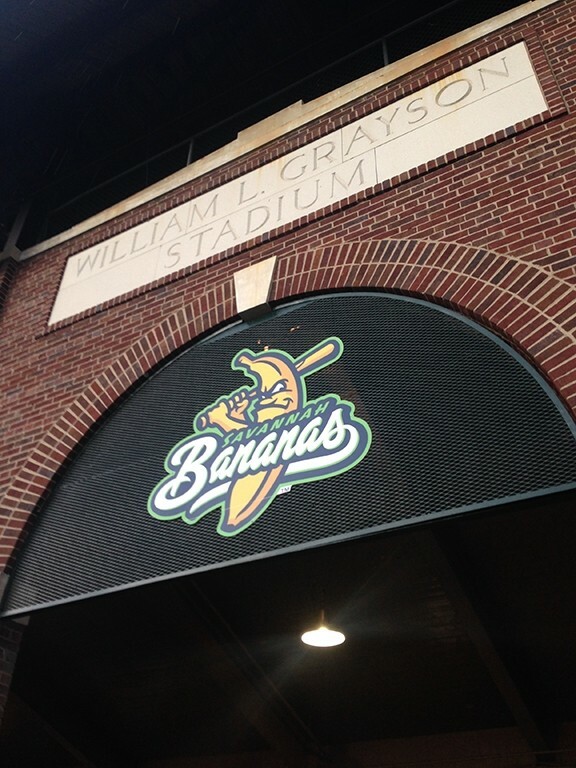 These days you don’t have to look any further that Coors Field, Busch Stadium and The Milwaukee Brewers, or the minor league Hillsboro Hops to see that baseball and beer are deeply linked. Beer and baseball were not always considered partners though. When the National League was formed in 1876 alcohol was prohibited from being sold and consumed on baseball grounds. The rival American Association League saw the NL’s beer ban as an opportunity. Not only was alcohol allowed at A.A. games, but many of the teams were sponsored or owed by distillers or brewers. Just as the National League eventually saw the marketing potential of beer many modern teams have seen the potential of selling craft beer at their ballparks. If you are an Atlanta Braves fan you have beer to thank, at least in part, for the team moving to Atlanta. Until 1962 the Milwaukee Braves allowed fans to bring their own unopened beer containers to the ballpark. The bad PR that sprang up when the team cracked down on this practice, along with some lousy teams in the ‘50s, led to the eventual move to Atlanta. The Braves are honestly not that kind to beer drinkers, having the fifth highest beer pricing among baseball stadiums. But there are many craft beer options available at Turner Field. Local favorites Red Hare Brewing and Terrapin Brewing are represented, as are some of the larger craft brewers like Sierra Nevada. Most impressively, Atlanta’s Sweetwater Brewing has taken over the “beer island” in the fan plaza, an area previously run by MillerCoors. The Braves new SunTrust Stadium that opens next year will feature its own on site microbrewery, but no word yet on who will be doing the brewing. Thirsty Thursdays have been a longtime tradition at minor league games but that promotion has always been geared toward macro beer. 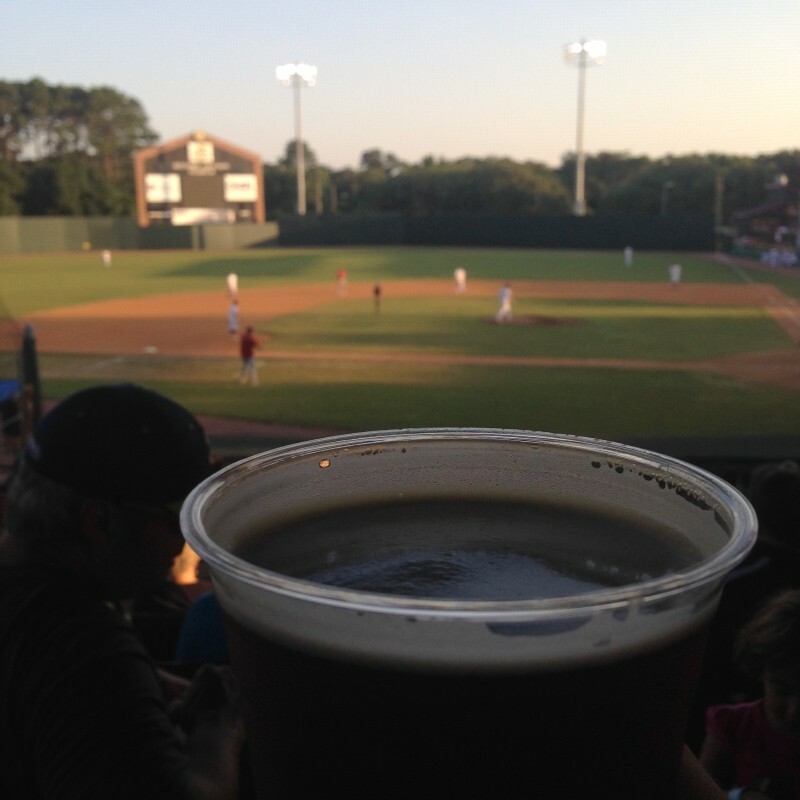 Savannah’s new Coastal Plain League team, the Savannah Bananas, has made sipping on a cold craft beer during a game easy. 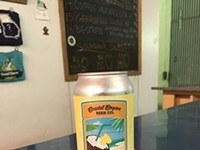 The desire to promote craft beer comes directly from Savannah Bananas owner Jesse Cole, whose self proclaimed love of craft beer led to the addition of a craft specific vending area called the Craft Corner. 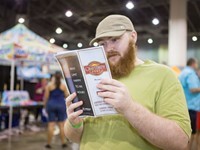 Cole acknowledged that craft beer patrons would prefer to have two really good beers than the standard baseball fair and that it was important to have plenty of options for them. Cole also tells Brew/Drink/Run that he organized a craft beer festival in Gastonia, N.C., and has plans to expand that concept to Savannah this spring. The Craft Corner features ten taps with numerous craft breweries such as Dogfish Head, Victory, Stone and Bells. Most importantly the Bananas have a rich relationship with local breweries including Coastal Empire, Moon River and Service Brewing. 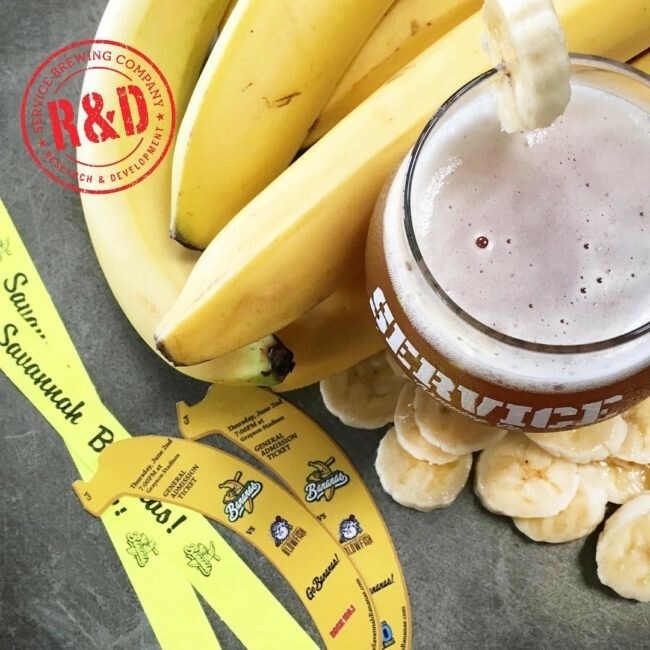 The partnership with Service includes a recent brewing of a banana-flavored beer that will be featured at the July 9 Savannah Bananas game. Banana-flavored beer may sound strange but it’s a flavor that is produced by some beer yeasts. 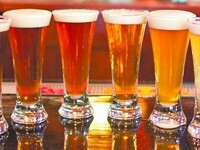 In fact the flavor is long desired in many Belgian style beers. This summer whatever ballpark you visit make sure to drink some good, preferably local, craft beer, it’s will make your baseball experience all the better.